Please join us on Wednesday, June 27, at the Covellite Theater Lounge (215 W. Broadway Street) from 7-9 pm. 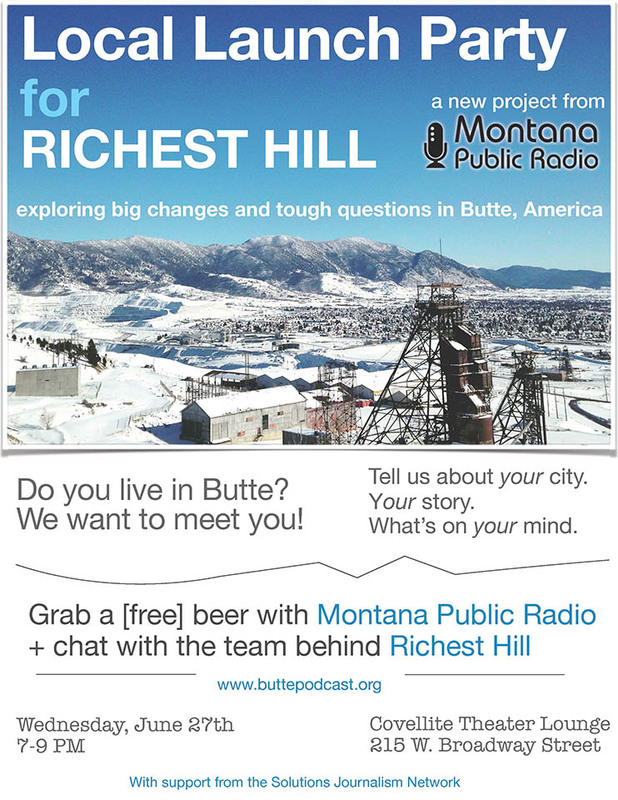 Tell us about your Butte, your story, and what’s on your mind. We can’t wait to meet you.